About Erica Wickham, M.S., R.D., C.D.N. Vegetables provide a rich source of vitamins, minerals, water, antioxidants, phytochemicals and dietary fiber. While vegetables typically rank low in calories, fat and sugar, certain ones have a high sugar content, meaning that they provide more calories and carbohydrates. A high amount of water or fiber in vegetables typically goes hand in hand with naturally lower sugar and slower digestion by the body. Vegetables with a low water content often contain more sugar and are more rapidly digested, resulting in a quick rise in blood sugar levels. These vegetables rank high on the glycemic index. Rich in potassium, magnesium and dietary fiber, potatoes rank as one of the most sugary vegetables. Sweet potatoes and yams contain vitamin A and C but are also high on the carbohydrate list. A half-cup serving of mashed potato, or one-quarter of a large baked potato, sweet potato or yam, is equivalent to 15 grams of carbohydrates. If you are trying to maintain normal blood sugar levels, avoid or limit your consumption of potatoes. 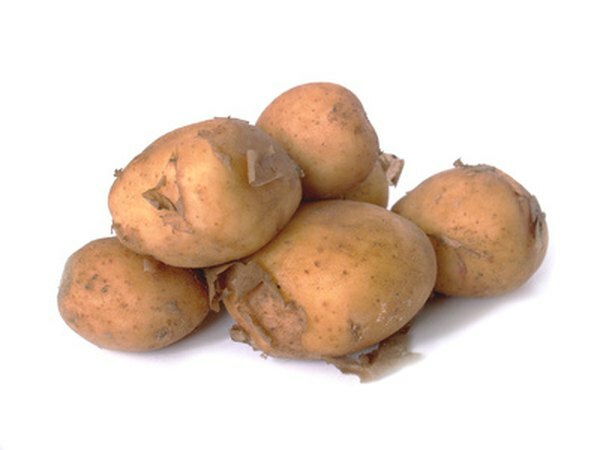 If you wish to consume potatoes, you may want to soak them in cold water to remove some of their starch. Starchy vegetables, corn and peas contain high amounts of carbohydrates. A half-cup serving of either corn or peas or a half corn cob provides 15 grams of carbohydrates. When eating mixed vegetables with corn or peas, a 1-cup serving is equal to 15 grams of carbohydrates. Each of these vegetables contains potassium, magnesium, vitamin A, phosphorus and folate. Eat peas and corn in moderation and use proper portion sizes. A close relative of the turnip, the rutabaga provides high amounts of vitamin C, folate, potassium, calcium, magnesium and phosphorus. A half-cup portion of this waxy yellow vegetable contains 15 grams of carbohydrates. Limit or avoid the rutabaga if you are trying to follow a low-sugar diet. Select the turnip instead, as it provides many of the same nutrients but is much lower in carbohydrates. Moderately high in carbohydrates, bean varieties include kidney, lentils, black, lima, pinto, navy, garbanzo, wax, green and butter beans. The sweeter the bean, the more sugar it contains. All beans contain protein, iron, calcium, dietary fiber, magnesium, phosphorus, potassium and folate. On average, one-half cup of beans contains 15 grams of carbohydrates. You should not eliminate beans from your diet as they provide your body with important minerals. You should balance them with other, less sugary vegetables. Winter squash includes butternut, acorn, spaghetti, carnival and hubbard squash varieties. Lower in sugar, yellow squash and zucchini contain less sugar per serving. Winter squash and pumpkin not only taste sweet but also rank as high-carbohydrate vegetables. A 1-cup portion of cooked winter squash or pumpkin contains 15 grams of carbohydrates, so eat only in moderation. Due to their vibrant orange, yellow and green color, these vegetables are high in beta carotene, a powerful antioxidant, as well as vitamins A, C and K, potassium, magnesium and phosphorus. Eat these vegetables sparingly. High in potassium, phosphorus, calcium, magnesium and dietary fiber, deep reddish-purple beets are fibrous and relatively sweet, ranking high on the carbohydrate scale. Each 1 cup of cooked beets contains approximately 15 grams of carbs. Beets can be made more sugary depending upon the method you use to prepare them. Cook them and eat them plain for the most health benefits without the added sugar.